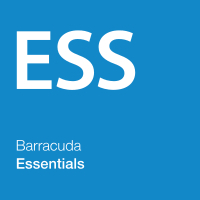 See this comparison of Barracuda Essentials vs Proofpoint Essentials. Proofpoint Essentials is designed for MSPs to protect their customers from spam, viruses and data loss. Small and Midsized organizations looking for strong email protection with optional archiving and compliance at cost effective pricing. Large organizations looking for advanced and granular email security for a large number of users. 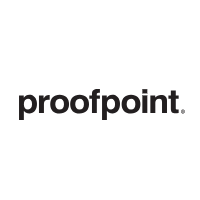 Proofpoint is a cyber security vendor what protects organizations against advanced threats and data loss. They offer cloud based security solutions to help you detect and block targeted attacks. Proofpoint Essentials is an all in one email security solution. It offers email protection at the gateway, which stops threats from entering your email network. It also offers Continuity, Management and encryption and archiving as additional modules. Proofpoint Essentials is aimed at small to midsized organizations and is sold through resellers and MSPs. URL and attachment defence helps to block email threats from entering networks. Proofpoint Essentials is a strong solution for email protection, encryption, archiving and continuity as a single platform. Proofpoint has excellent security research, which ensure that this platform offers a high level of threat protection. Spam filtering is also robust. The platform has a good range of management features, and is cost effective, with many features such as Continuity included in the core service, whereas it is normally a bolt-on purchase. There are also a good range of reports and logs to give you more control and awareness over your email network. Proofpoint Essentials have had system stability issues in the past, partly caused by a large growth in the user base of the service. However, it appears that these issues have now been fully resolved. The administrator console, while being fully featured could be modernized to improve ease of use. Expert Insights suggest that organizations requiring robust protection from email threats use a secure email gateway in conjunction with a separate post delivery protection solution to ensure robust protection from phishing attacks.